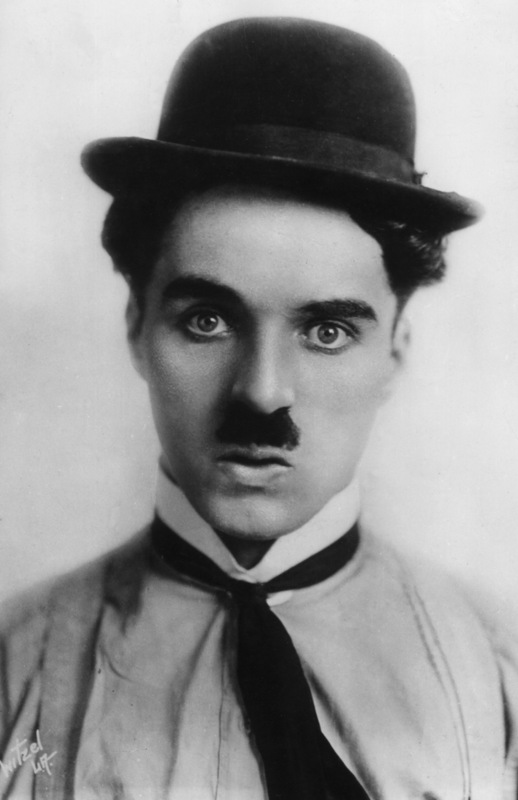 Chaplin made his first appearance in cinema in 1914, in the film Making a Living. What followed would be the work of one of the most creative artists of the last century; a creativity not only to be understood in the making of “comedy”, but as resistance to tragedy and defeat. Chaplin’s vagabond was not a revolutionary to be found among political vanguards (his red flagged “leadership” of a workers’ strike in Modern Times is farcical). He is instead radical in his permanent and serene dislocation, misplacement, disengagement with where and how he is supposed to be; what Walter Benjamin called Chaplin’s “mask of noninvolvement”. Always out of step, he reveals both the absurd of the normal and that life lies beyond this last, in an ever renewed present. Jean-Paul Sartre said of Chaplin’s character, Charlot, that he could only be imagined in a film, his films. “That is his element. There he lives”. And from there he cannot escape. “It is always the same thing, my poor old man. You are a prisoner of women, of landscapes, of your clothes, of your melancholy, of your pity, of your art to make laugh”. (René Crevel) But it is precisely this intensively cinematographic character of Charlot that renders him and his worlds real, that has us live them, and laugh with him. It is Charlot’s lack of psychological depth, his sometimes Fernand Leger like mechanical movements, or his childlike ability to cry and to laugh at a world that is forever revealing of surprise, that frees us. Chaplin is a technician. He is the man of the world of machines, in which most of his fellow men no longer have either sentiment or the mental tools necessary to truly appropriate for themselves the life that is accorded to them. They do not possess imagination. Chaplin then begins to work. Like a dental prosthesis made of false teeth, he constructs prostheses of the imagination. These are his films. After a showing of The Circus, Chaplin never allows the audience to smile while watching him. They must either double up laughing or be very sad. Chaplin greets people by taking off his bowler, and it looks like the lid rising from the kettle when the water boils over. His clothes are impermeable to every blow of fate. He looks like a man who hasn’t taken his clothes off for a month. He is unfamiliar with beds; when he lies down, he does so in a wheelbarrow or on a seesaw. Wet through, sweaty, in clothes far too small for him, Chaplin is the living embodiment of Goethe’s apercu: Man would not be the noblest creature on earth if he were not too noble for it. There is a very marked difference between all men and Charlot. All men couldn’t care less about red fish and Charlot cries red fish. In no other aesthetic are tears used in such a pure way. 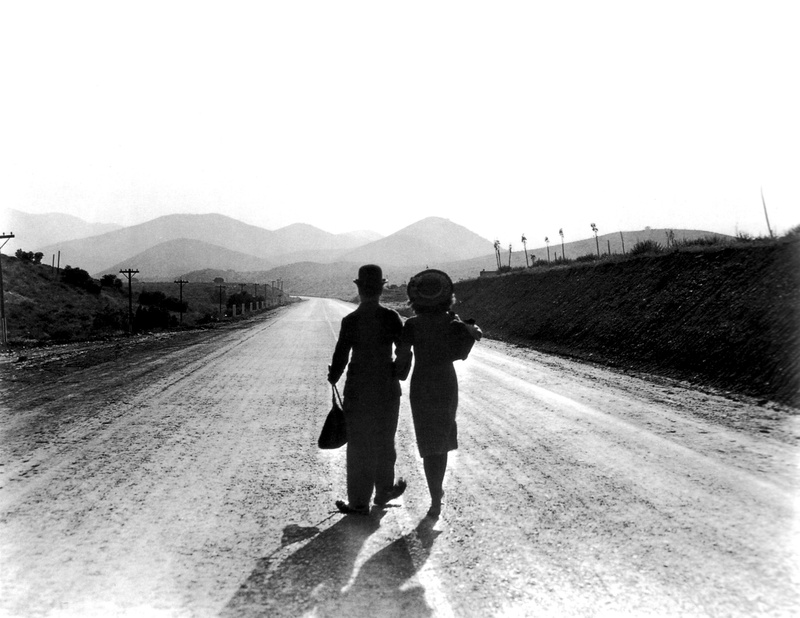 Charlot makes of tears a cause, an isolated source without any relation to the theme that produces them. Round tears. Tears in themselves. One attributes laughter to the red fish because laughter is abundant and it demands no effort. After having given laughter to women, to the sky and to the joyous airs of spring, there still remains some for the elephants and the red fish, the tranquil, the very distant red fish. Tears are something else. One attributes them to love and to the death that says goodbye. He who cries consumes himself like a candle. Everyone is greedy of their tears for this reason. Charlot, however, grants his tears to the red fish, giving an example of wisdom and equality never before equaled. For this reason his acts and his gestures have a new meaning. To death he gives is little universal and delightful moustache; to hunger he gives his serenity, to the unleashed tempest the ineffable rise and fall of his shoulders, but to the fish, to the poor and absurd red fish he gives his tears without limits, his tears that come to form themselves on the crystals from where they flow. The “gag” is generally a stylistic process which intends to make an action automatic: a bit like a mask in the teatro dell’arte is meant to make the character automatic. The “gag” and the “mask” move between two poles (between two diametrically different uses): on the one hand, they can reach the maximum of automatism by transforming the action and the personage into an abstraction which counts as an element of a non-natural representation; on the other, through the synthesis which they operate, necessarily, I would say technically, they convey the essential humanity of an action and of a character, presenting them in a brief, inspired moment which conveys its reality at its apex (and the context is therefore realistic, albeit without a touch of naturalism). Generally the “gags” are scattered in the films, interrupting another kind of narrative technique. Only the silent comic films are composed entirely of gags. They are therefore a unique technical and stylistic phenomenon. The cinema of Chaplin does not resemble any other cinema: it is another universe. In the cinema of Chaplin there is not everything that there is in other films. When compared to the rest of cinema, the films of Chaplin can be defined only by subtraction, in a kind of negative phenomenology. I am speaking, of course, of the silent films. In Chaplin’s sound films this absolute originality no longer exists; in common with other films Chaplin’s films have dialogue, which is the negation of the “gags”. Thus, in the sound films the “gags” can no longer constitute the only stylistic structure, but alternate with another structure, which is the audiovisual one, in which mime or pure physical presence and the oral word are integrated and cannot therefore avoid those “touches of naturalism” of which I spoke and which are incompatible with the purely realistic syntheses of the “gags”. [In Modern Times] Charlot ceaselessly brushes up against the theme of the proletarian, but never assumes it politically; what he gives us to see is the proletariat still blind and mystified, defined by the his immediate needs and his total alienation at the hands of his master (bosses and police). For Charlot, the proletariat is still the man who is hungry: the representations of hunger are always epical in Charlot: the excessive thickness of sandwiches, rivers of milk, fruit that one negligently throws only just bitten; in mockery, the eating machine (of the employer in essence) provides only partial and visibly drab food. Trapped in his hunger, the man-Charlot situates himself always just below the assumption of political consciousness. But it is precisely because Charlot appears as a kind of brute proletariat, still exterior to the revolution, that his representative force is immense. No socialist œuvre has yet been able to express the humiliated condition of the worker with as much violence and generosity. Only Brecht, perhaps, glimpsed the need for socialist art to always consider man on the eve of the revolution, that is man alone, still blind, on the verge of being opened to the light of revolution by the “natural” excess of his misfortunes. … Yet Charlot, in conformity with Brecht’s idea, shows his blindness to the public is such a way that the public sees at the same time the blind and his spectacle; to see someone not see, is the best manner to see intensely what he does not see: thus for the Guignol, it is the children who call out to the Guignol what he pretends not to see. … the first films of Chaplin have lost nothing of their effect of surprise, of their humour, of their biting or their illumination. But, above all, their pertinence seems closer and more urgent than ever before: they are an intimate commentary on the 21st century in which we live. Today, the global economic tyranny of speculative financial capital, that makes national governments (and their politicians) their apologists of slavery and the media world their drug dealer, this tyranny, whose only goal is profit and permanent accumulation, imposes upon us a vision and a schema of chaotic life, inexplicable and without pity. And this vision of life is even closer to the vision of the legendary world of [Chaplin’s childhood] than life at the time when Chaplin’s first films were made. This morning’s newspapers [of July 2014] report that Evo Morales, the president of Bolivia, a relatively sincere man free of cynicism, proposed a measure to legalise child labour from the age of 10. Concerned are close to a million Bolivian children already work to aid their families to eat. This law will guarantee them a modest judicial protection. Six months ago, off the Italian island of Lampadusa, four hundred migrants coming from Africa and the Middle East on board a boat unfit for navigation found their death by drowning as they sought to gain Europe clandestinely in the hope of finding work there. On the planet, three hundred million men, women and children look for work to have the minimal means of survival. The Vagabond is no longer a singularity. The extent of what appears as inexplicable increases day by day. Universal suffrage has lost all meaning, because the discourse of national politicians no longer has any relationship with what they do or can do. All of the fundamental decisions that affect the world today are taken by financial speculators and their agencies, anonymous and voiceless. [As the ten year old Chaplin presumed], “the words to designate or explain the course of daily tedium, of needs not satisfied and of desire frustrated are lacking”. The clown knows that life is cruel. The heteroclite and colourful buffoon costume of yesteryear was already a parody on his usual melancholic expression. The clown is accustomed to loss. Loss is his prologue. The energy of Chaplin’s tomfoolery repeats itself and increases with each occasion. Each time he falls, it is a new man who falls back on his feet; a new man who is at once the same man and a new man. The secret of his vitality after each fall is due to his multiplicity. This same multiplicity permits him to catch hold of his next hope, even though he is accustomed to always seeing his hopes shatter. He undergoes humiliation after humiliation with serenity. Even when he counter-attacks, he does so with a feeling of regret and with serenity. This serenity renders him invulnerable – invulnerable to the point of seeming immortality. In us, in feeling this immortality in our circus of events without hope, we recognise it by our laughter. In Chaplin’s world, laughter is the surname of immortality. This entry was posted in Film, Poiesis and tagged Art and Revolution, Charlie Chaplin. Bookmark the permalink.